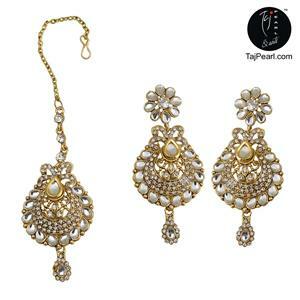 About Earring Maang Tika set: These Elegant Ethnic Earrings are made from Brass which are further Golden Oxidized to give its Antique Looks and studded with colored crystals. 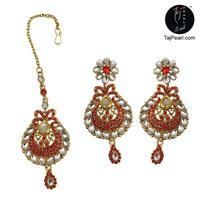 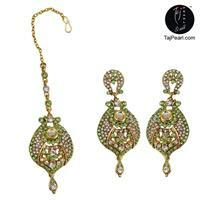 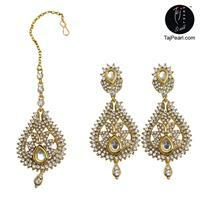 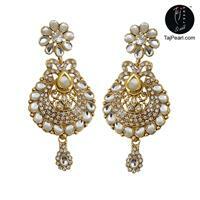 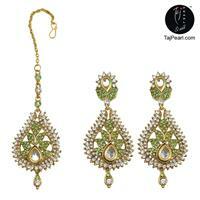 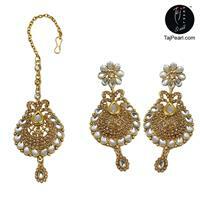 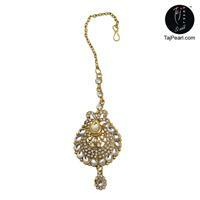 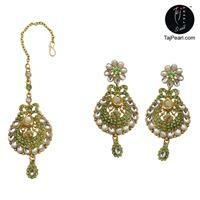 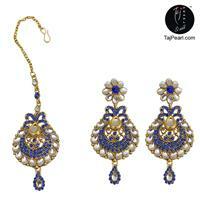 Best for Indian Wedding or Engagment fuctions. 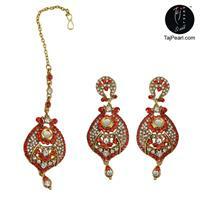 Dispatch: All products are couriered through well known Courier Carriers like Aramax, DHL,Fedex,Blue dart, Red Express. Delivery within 10 days in India and within 10-15 days to all major cities of world. 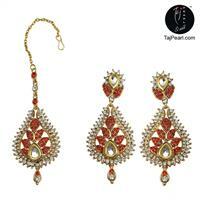 * If Citizens out of India ordered through India Post, it may take 20-30 days delivery time. Care: Please store fashion jewellery in air tight box or poly bag when not in use, it will enhance their life.